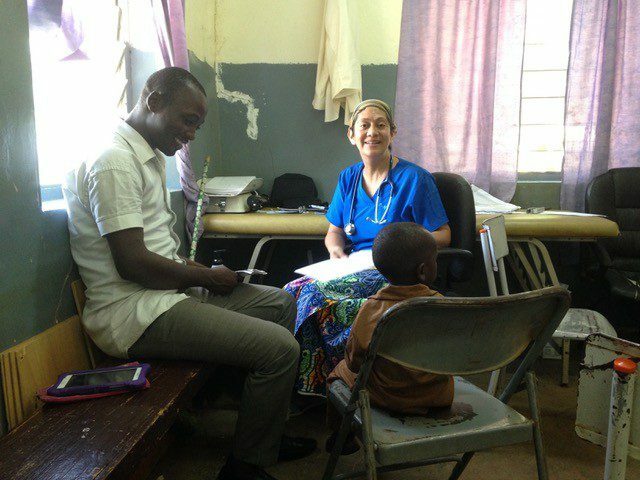 Dr. Myriam Hughes had used ultrasound on many past medical missions, with varying levels of success. “I was always relying on old, half broken ultrasound equipment that didn’t really help in the diagnostic process,” said Hughes. She was first introduced to Clarius in August of 2017 and was impressed by the portability of the scanner. She knew it was the ideal tool to take with her on an upcoming medical mission in Niger, Africa. Having completed medical missions at the same facility in the past, Dr. Hughes was aware there were few working ultrasound machines available there. Clarius Handheld Ultrasound Scanners are wireless and work with a mobile app. Unlike traditional ultrasound systems, Clarius Scanners are designed to be easy to carry around for quick exams and to guide procedures. Dr Hughes was also impressed with the variety of ways she was able to use Clarius. Because of her background in ultrasound, Dr. Hughes understands and appreciates strong image quality.